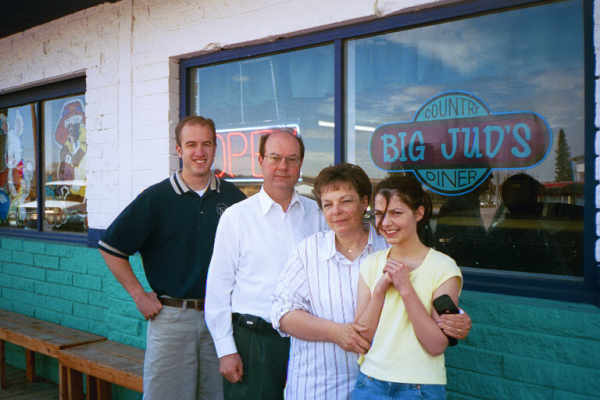 A reunion for missionaries in Easter Idaho was held at Big Jud's Country Dinner in Archer, Idaho on Saturday, April 13, 2002. Only Alan Harwood showed up. However, that way we were able spend more time with him. We had not seen him for quite a while, so it was a very enjoyable time. And of course the cuisine was unparalleled.